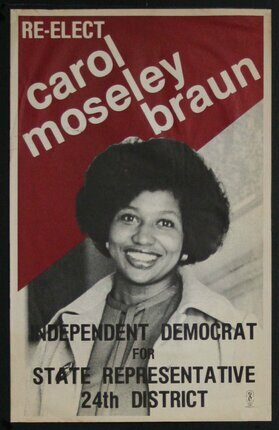 Moseley Braun was first elected to public office in 1978, as a member of the Illinois House of Representatives. There, she rose to the post of assistant majority leader. As a State Representative, she became recognized as a champion for liberal social causes. She went on to become the first US African-American female senator.